Happy new year! It will feel odd for a while yet as we wade through the goo–this retrograde period has been hard (you can see the “Heal” card again this week) and few of us feel like we’re “raring to go”, despite all the new year ra-ra and new resolutions. So be it! Get your rest time, get your alone time. Quite a few of us are really asking the questions of what we’re meant to do this year, what will get us out of bed, and where we’ll be in a year’s time. We’ll be looking for answers more than usual, but instead we may get moments of annoyance and old pain again. 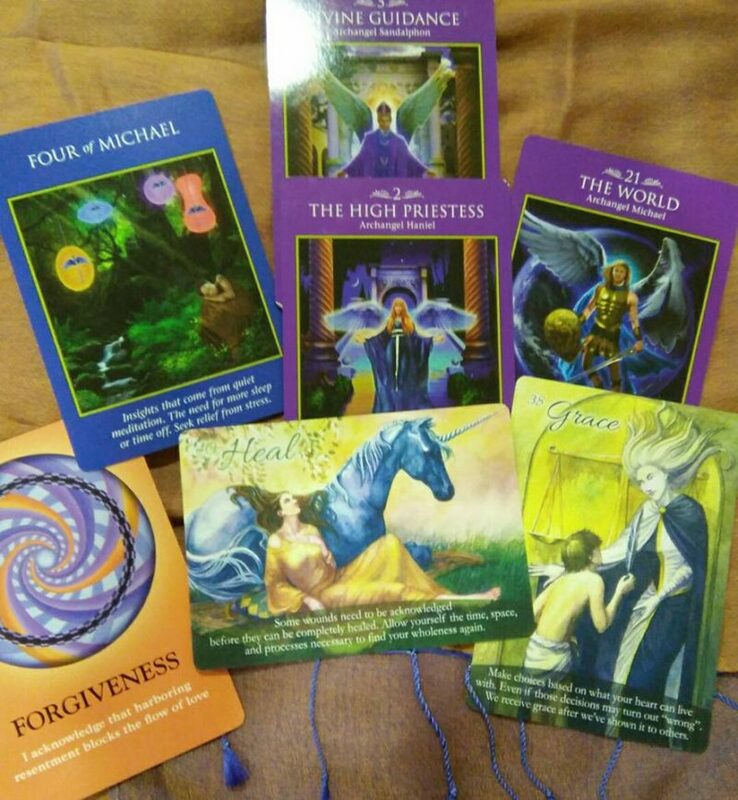 Things that you thought were wrapped up and stowed away for good may come up this week–forgiveness seems to be the key. If you have to do it again and again, well, practice makes perfect. This time of year comes loaded with expectations, and the ones we put on ourselves can be heavier than the ones others put on us. Make it easier on yourself: Set your own priorities, and accept, right now, that you’re going to make mistakes, because it’s going to be a learning year for everyone. The unexpected will keep on coming. You’re going to be at a loss sometimes. You’re going to disappoint people. (But, you’re not responsible for other people’s feelings.) You may have to stand up for yourself and something you believe in, and you may have to persevere. Because it’s a year of adjustment and learning for everyone, extend kindness to all who need it, yourself included. And choose to make your mistakes worth it!